Premier Man Blouson R is rated 4.6 out of 5 by 154. 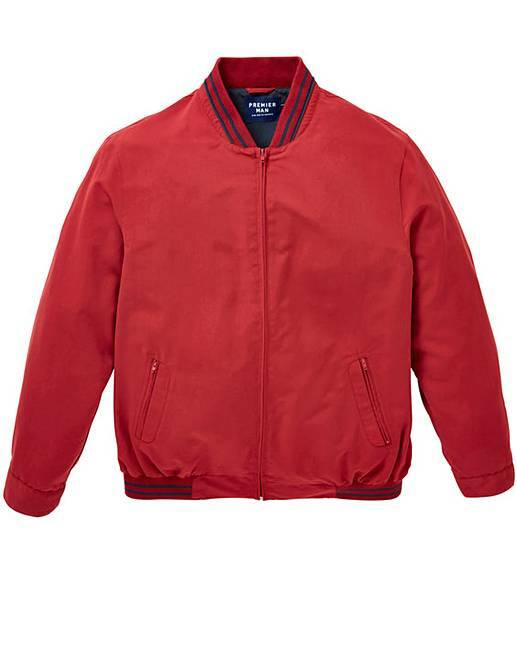 Finish off your smart-casual look with this stylish red blouson from Premier Man. 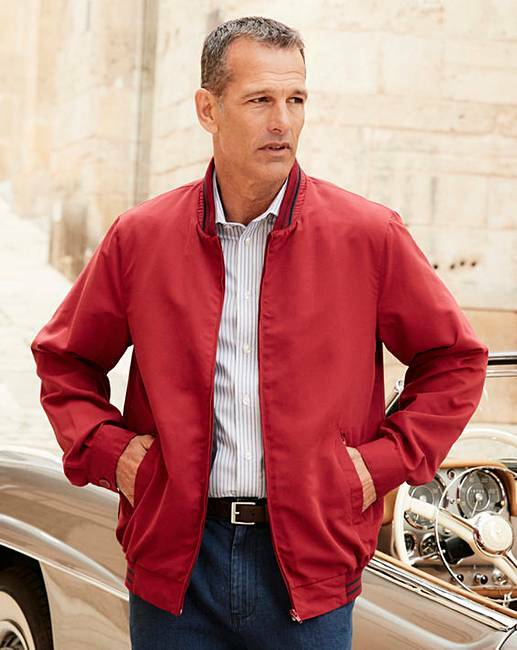 This lightweight, practical jacket features simple zip fastening right down the front, together with a selection of pockets to stow everyday essentials. A wardrobe must-have for any fashion-forward man. Rated 5 out of 5 by R J from Good colour. Hubby very pleased with this lightweight soft jacket,comfortable to wear,good sizing and ideal for Spring and Summer. Rated 5 out of 5 by Kristof from Very cheap I’ve not used it yet waiting for summer. can’t wait. Rated 5 out of 5 by CJS from Fantastic product. I purchased this product and am very pleased with it. It is well made and comfortable to wear. I purchased another 3 . Rated 5 out of 5 by Raymond Keen from Excellent jacket Well made and thr feel of the material.is amazing.highly recommend. Rated 5 out of 5 by Beefy from great coat Had one previously in different colour, always liked it. Rated 5 out of 5 by Paul 09 from Great feature Looked comfortable when i looked at the item.once i received the item it was up to the qualityvi like.